Undoubtedly, the arrival of a newborn is one of the major milestones in the lives of the new parents. Wish the new mom and dad the very best with state-of-the-art new baby flower delivery by Secret Garden. 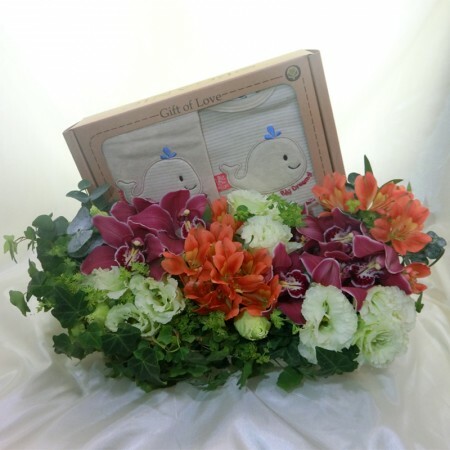 Specially designed to make the moment a memorable one, our baby congratulations gift and flowers are perfect for welcoming a new life, delighting the parents. What can be a better gift than blossoming flowers, which are as innocent, as pretty and as lively, as a new born baby? 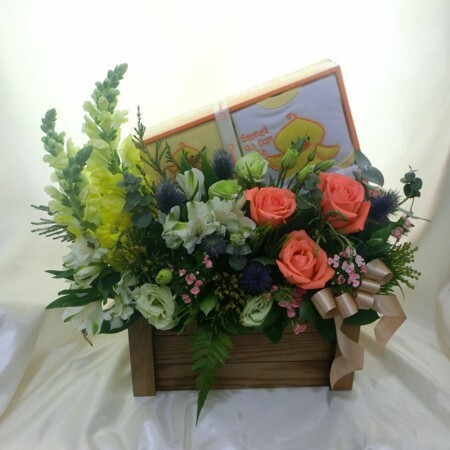 Order flowers for new mom from the leading online florist in Singapore and express your happiness at the arrival of the new member as you congratulate the elated parents. Get ready to bring in some extra bit of joy through gifting the freshest flowers for new baby girl or boy. 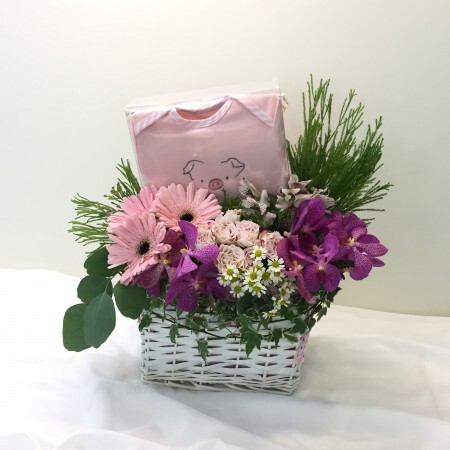 Check out our selection of colorful welcome baby flowers combined with an exclusive collection of wonderful gifts comprising teddies, clothing set as well as other gift items beautifully organized in a gift basket. With us you can have Singapore flower delivery on the same day that you order, ensuring that your wishes are conveyed at the right moment. 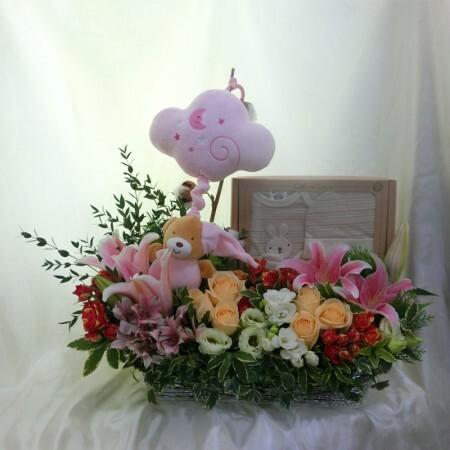 Add some charm; bring in some delight to the already lightened up moments of the parents’ life by delivering the most attractive new baby bouquet. 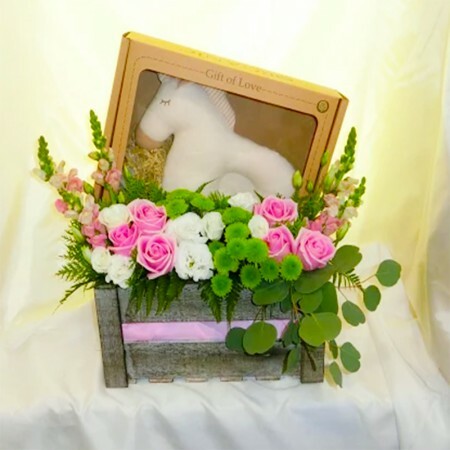 Even if you cannot be present in person to celebrate the joyous occasion, simply share with us the address for new baby flowers delivery and the professionals at Secret Garden will carry forward your bunch of wishes.